The government is gearing up for the next phase of its 'Responsibility Deal' programme, partnering brands to encourage consumers to eat fruit and vegetables and discourage retailers from displaying confectionery at checkouts. The scheme, launched in 2010, has already signed up Kellogg, PepsiCo, Unilever and McDonald's as partners. Pledges include commitments to reduce salt, eliminate trans fats, display calorie information on menu boards and cut calories across product ranges. A sixth 'food network' pledge is due to be unveiled by the Department of Health this week. Participating retail, food and manufacturing partners will make a promise to improve the accessibility of fruit and vegetables to UK consumers. Brands were said to have been concerned that they could not make meaningful commitments to help increase the consumption of fruit and vegetables. As of last month, just two companies had agreed to sign up, but it is understood that about 15 will be unveiled tomorrow (Thursday). One of the first is expected to be Subway, which will further extend its marketing focus on healthy eating with a £1m push to raise awareness that consumers can get one of their five-a-day by eating its products. 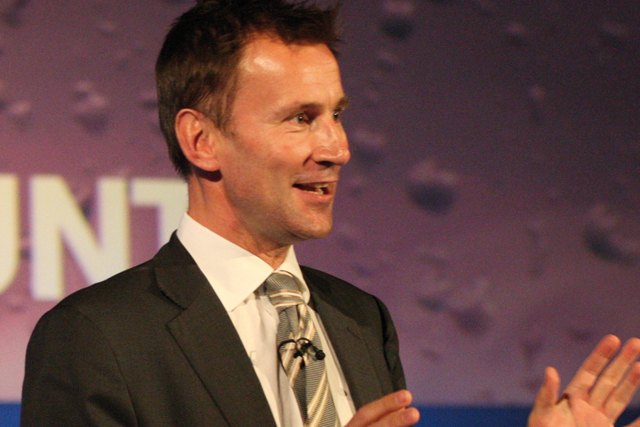 The pledge will be the first to be announced since Jeremy Hunt was appointed as Health Secretary in September. It comes amid industry concerns about his commitment to the initiative, pioneered by his predecessor Andrew Lansley. The display of confectionery at tills is shaping up to be the next big battleground between food lobby groups and brands. Last month, Marketing revealed that Family and Parenting Institute chief executive Dr Katherine Rake would be providing evidence, as part of a 'stock take' of the Bailey review into the commercialisation and sexualisation of childhood, that brands had made scant progress on 'pester power' problems such as the positioning of sweets in stores.